If you are interested in applying for Arkansas Medicaid coverage, you can do so through the Arkansas Department of Health and Human Services. Here you will not only be able to apply for Medicaid, but for other programs as well including emergency shelter, food or heating assistance. As you may already be aware, Medicaid is a federally and state administered program that provides medical coverage for individuals who cannot afford it otherwise. There are several groups that fall under the realm of Arkansas Medicaid eligibility. Medicaid is used to reimburse medical providers for services provided to eligible individuals and families. One common group that is often able to acquire Medicaid in Arkansas are children under the age of 19 from needy or low income families. Also, a parent or other caretaker with children under the age of 18 who have an absent, unemployed or disabled parent may also be able to qualify for coverage for themselves. Pregnant women who meet eligibility requirements are also able to get full Medicaid coverage. Not only does this coverage take care of the medical expenses incurred during pregnancy, it also covers the sixty day postpartum period and extends to the newborn child. Medicaid is also available for senior citizens over the age of 65 who meet the income requirements. Blind and disabled persons are also often able to obtain full Medicaid coverage in the state of Arkansas. 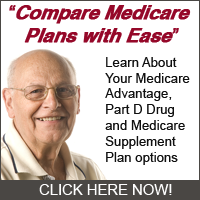 There is a special program called the Medicare Savings Program which offers a limited amount of coverage to help with various expenses such as premiums, deductibles and co-payments. Individuals in need of long term health care may also be eligible for Medicaid. There are also special programs for elderly individuals who are receiving home health care instead of nursing home care. Those with developmental disabilities who also need home health care may also qualify for full coverage. If you have questions about Medicaid coverage or eligibility, or want to apply, the first step is to contact the Arkansas Department of Health and Human Services. They will assign a worker to your case who can help you apply and educate you further on the various Medicaid programs and details.